The Aarhus Convention is probably the most important piece of international law relating to environmental democracy rights. Indeed, this UN Convention - adopted in 1998 - enshrines three individual procedural rights having a direct link to environmental protection. These rights (also known as the three Aarhus “pillars”) are the right to environmental information, the right to participate in the environmental decision-making, and the right to access to justice in environmental matters. The Aarhus Convention Compliance Committee (ACCC) is the non-confrontational, non-judicial and consultative body established in Geneva since 2002, called upon to check the conformity of the legislation of the Parties to the Convention with the Convention itself. Surprisingly, even associations and non-governmental organisations (NGOs) active in the environmental domain may submit communications to the committee with regard to the compliance of one of the Parties with the Convention. The latter counts 47 Parties, including the EU, which adhered to the Aarhus Convention in 2005. In 2008, the NGO Clientearth submitted a communication to the Committee concerning compliance of the EU with the Aarhus Convention. In particular, the NGO complained about the restrictive interpretation given by the Court of Justice of the EU (CJEU) of Article 263 paragraph 4 TFEU, the so-called Plaumann test, which has never allowed any private applicant to actually challenge in a direct action any EU environmental measure. In addition, Clientearth raised the question of whether certain provisions of Regulation 1367/2006 (hereinafter the “Aarhus Regulation”), which binds the EU institutions to respecting the norms enshrined by the Aarhus Convention, were in compliance with the Convention’s provisions on access to justice, namely Article 9 paragraphs 3 and 4, which concern access to justice and effective remedies. After nine years and a first part of its findings released in 2011, the ACCC released the second part of the findings in 2017. In this document, the ACCC endorsed the NGO’s arguments and found that the EU was in breach of the Aarhus Convention provisions on access to justice. Moreover, the Committee recommended the EU to amend the Aarhus Regulation and invited in particular the CJEU to “update” its jurisprudence on Article 263 paragraph 4 TFEU. Article 10 paragraph 1 of the Aarhus Regulation provides for a procedure of internal review of EU administrative acts. In other words, NGOs may ask an EU institution to review its own act adopted under EU environmental law, in a procedure which is very similar to a ‘recours administratif’ under French law. The necessity to amend the Aarhus Regulation, according to the Committee, is mainly due to the restrictive definition of a challengeable “administrative act” provided by Article 2 paragraph 1 g) of the Aarhus Regulation. Such a provision defines an administrative act as “any measure of individual scope under environmental law, taken by a Community institution or body, and having legally binding and external effects”. Most of the problems with regard to this provision are raised by the word “individual”, which makes extremely difficult for civil society organisations to challenge EU measures in the field of environmental protection. This because such measures usually have a very broad scope, given that they aim at protecting common goods such as the natural heritage or public health. 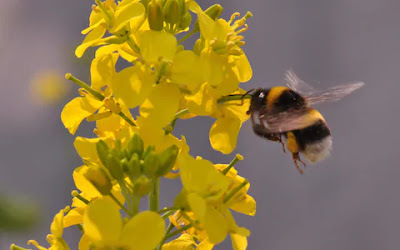 In August 2016, the German association Mellifera eV (hereinafter “Mellifera”) – which aims at preserving bees’ health – asked the European Commission to review, under Article 10 paragraph 1 of the Aarhus Regulation, its implementing regulation 2016/1056 extending the approval period of the active substance glyphosate (a controversial weed-killer). The European executive rejected Mellifera’s request on the ground that this did not constitute a challengeable EU administrative act as outlined in Article 2 paragraph 1 g) of the Aarhus Regulation. As a consequence, in January 2017 the association decided to challenge the Commission’s decision rejecting its request before the General Court (GC) of the EU (case T-17/12). According to Mellifera, the contested regulation had to be qualified as an administrative act of individual scope for the main reason that the extension accorded by the Commission for glyphosate was framed within a specific administrative procedure of approval. On this point, the association held that Commission implementing regulation 2016/1056 was adopted only once an individual request of renewal was submitted by the applicant, as provided by Article 15 of Regulation 1107/2009 concerning the placing of plant protection products on the market. This implied that the regulation was able to affect the legal position of the applicant, authorizing the latter to continue to put the product on the market. The association recognized that a measure authorising the place on the market of a certain product also has positive effects on other economic operators producing or trading the same product. However, such effects are only ‘indirect’, since all direct effects produced are limited to the legal sphere of the single applicant. Therefore, the authorization could not be considered as an act of general scope, since it did not lay down any abstract requirement that the substance had to meet, but it rather authorized the single applicant to place that specific substance on the market. Finally, and most importantly, Mellifera invited the Court to take into account the aforementioned findings of the ACCC and modify its jurisprudence on the “act of individual scope” requirement. In addition, the association invited the EU judges to provide a consistent interpretation of Article 10 paragraph 1 of the Aarhus Regulation with the Aarhus Convention, in order to bring the EU closer to a full compliance with international environmental law. The GC disagreed with the arguments put forward by Mellifera and, in its ruling issued on the 27th of September 2018, confirmed the CJEU previous jurisprudence on the Aarhus Regulation, namely the Stichting natuur case-law. Firstly, the EU judges agreed with the Commission and found that the implementing regulation had a general scope, since it did not limit its effects to the legal sphere of the applicant. On the contrary, as the applicant acknowledged itself, the regulation also affected the legal sphere of other economic operators who find themselves in need of that authorization as they produce or trade, in the internal market, phytosanitary products containing that specific substance. As a consequence, in the Court’s reasoning, the individual scope of the implementing regulation had to be set aside. Secondly, the GC dealt with the invitation put forward by Mellifera to align its jurisprudence with the findings of the ACCC and the provisions of the Aarhus Convention on access to justice. The association recalled that the Convention is binding on the EU and that Article 9 paragraph 3 of the Convention guarantees the broadest access to justice possible, not limiting the possibility to challenge measures having a negative impact on the environment to acts of “individual scope“. This is a stricter definition introduced by the EU legislator that is not required by the Aarhus Convention. In addition, the association highlighted that, in spite of the lack of direct effect of Article 9 paragraph 3 of the Aarhus Convention affirmed in Stichting natuur and Slovak bear, the Court has a duty of consistent interpretation of EU secondary law with international agreements to which the EU is party. This meant that, according to Mellifera, the Court had to interpret Article 10 paragraph 1 of the Aarhus Regulation in compliance with Article 9 paragraph 3 of the Aarhus Convention. Nevertheless, the GC rejected all these arguments. First, it denied once again that Article 9 paragraph 3 may have direct effect in the EU legal order. Second, regarding the invitation to follow the ACCC findings, the EU judges answered that even assuming that such findings had binding force, these are nothing more than a simple “project”, which has been released on the 17th of March 2017, therefore once the contested regulation had already been adopted by the Commission. Regarding the duty of consistent interpretation with international law, the Court held that this is possible only where the wording of the concerned legislation allows for such an interpretation and this does not lead to an interpretation contra legem. In this regard, the EU judges noticed that, since the wording of the relevant legislation (namely the Aarhus Regulation) is very clear in limiting the types of challengeable measures to administrative acts having an “individual scope”, a consistent interpretation of such a regulation must be excluded, especially in the case at stake, since the Court had already qualified the contested implementing regulation 2016/1056 as a measure of “general scope”. For these reasons, the Court rejected all the pleas put forward by the association. The “Mellifera” case is interesting for a number of reasons, in particular with regard to the role played by the association which brought the case before the Court. In this regard, “Mellifera” can be seen as a very good example of how civil society organisations can make use of international law in order to bring changes in the EU legal order. Although it ultimately failed, the association tried to “enforce” the Aarhus Convention and, at the same time, amend the relevant EU legislation hindering access to justice in environmental matters. Furthermore, it is also worth consideration the role the organisation played in trying to favour a “judicial” dialogue (even if the ACCC acts in a non-judicial capacity) between European courts and international compliance bodies, by inviting the GC to take into account the recent findings of the Aarhus Committee. However, that invitation has been completely disregarded by both the European Commission and the CJEU’s General Court. The two EU institutions agreed on defining the findings and recommendations of the Aarhus Committee as a simple “project” (a term whose meaning is not really clear in such a context) without any binding force. Plus, the Court used the chronological argument - according to which the findings were released only after the Commission implementing regulation - as a justification for setting aside the fact that EU is (still) not in compliance with the Aarhus Convention. Given this argument, it will be interesting to see how the Court will answer to applications challenging EU measures adopted after the publication of the ACCC findings. In conclusion, it does not appear that the “Aarhus fight” between EU institutions and environmental associations and NGOs will finish soon. A fortiori, the findings of the Aarhus Committee, along with the recent positions on the matter adopted by all the other EU institutions (in particular the Council and the European Parliament) seem to have strengthened the civil society’s beliefs that EU law can be amended, and a new similar application by Mellifera has already been submitted before the GC in August 2018. Can the NGO go in appeal and take this case to the ECJ? Is it likely that this appeal will be granted or dismissed by the ECJ? Appeals to the CJEU are not currently filtered, so the applicants have an unlimited possibility to appeal the ruling. Whether the CJEU would agree on the merits with the General Court is just guesswork.